Why am I so excited by MCT oil? Provide instant and sustained energy – processed uniquely in the liver to make lots of sustained energy fast. Provides the benefits of coconut oil – but concentrated so 1 tablespoon of MCT oil concentrate is equivalent up to 18 tablespoons of coconut oil. Colorless and virtually tasteless so can be added to food, salads, & shakes without the “yuk” factor. Improve appetite regulation – you feel full and stay that way longer. 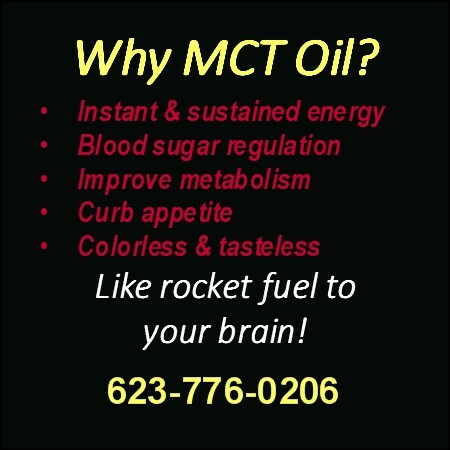 MCT oil is like rocket fuel for your brain because it enhances ketone production. 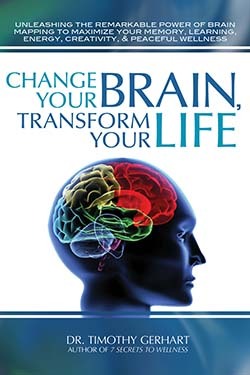 Ketones, of course, are a more efficient fuel for your brain. swallow it straight. It it clear, tasteless and odorless. Over the first week, gradually increase your dose to 1 tablespoon 3X/day. Over the 2nd week, work up to 1-3 tablespoons taken 2-3X/day. Continue as long as you would like to support your fat burning metabolism, high level energy and stamina, and peak brain performance. if you want the best results, the pure, non-GMO, professional-grade highly concentrated C8 version is essential.